This traditional metal chassis sewing machine is ideal for a wide range of tasks, including dressmaking, repairs and alterations. It may be sturdy but the Brother RH137 is still impressively lightweight at 5.5kg, so it's easy to move around. The easy to use stitch selector lets you switch between 37 true stitches for both utility and decorative sewing, including straight, zig zag, blind hem, darning/mending, shell tuck, scallop, double action, bridging, overlock and stretch stitches – so you can really unleash your creativity. There's also an automatic 1-step buttonholer and the lock stitch feature ensures you can finish off your sewing job neatly for a professional touch. An LED light also ensures you can always see your thread clearly in any light. A convenient top loading bobbin mechanism with 'quick start' thread cutter takes the hassle out of bobbin changing and is also smooth and quiet (even at full speed).. The convenient built-in needle threader will have the eye threaded in seconds and independent adjustable stitch length and width also adds to the versatility. 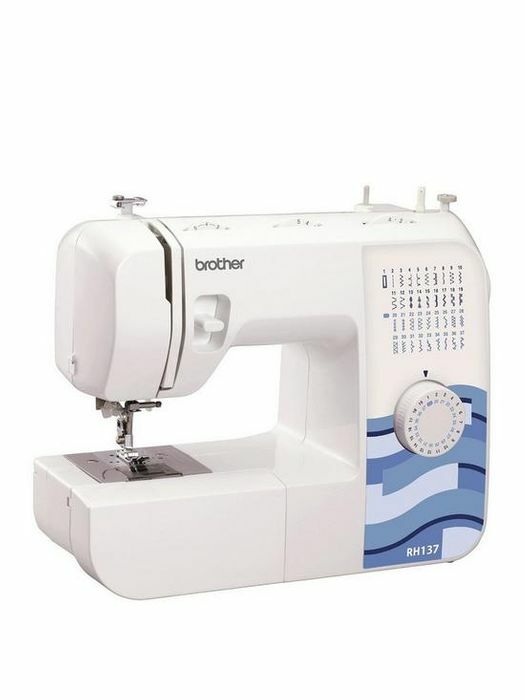 This versatile Brother sewing machines comes with a step by step instruction book and DVD.